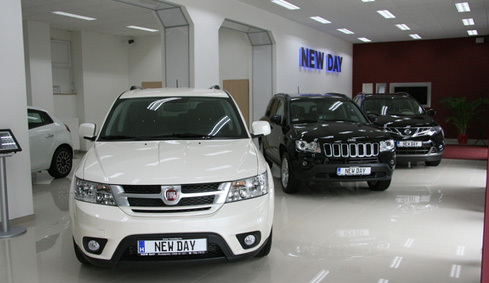 «NEW DAY» Auto Boutique is located in the heart of Budapest. 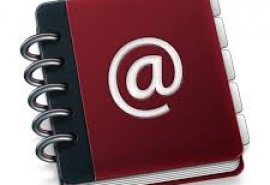 Low prices, exclusive design, specially developed marketing strategy to attract customers favourably distinguish the auto boutique from the rest of the trend’s representative companies. 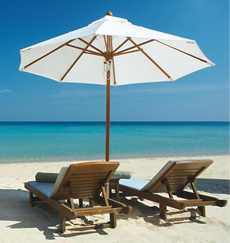 Reálszisztéma was launched in 1989 with the slogan: "Certain point in the restless world." 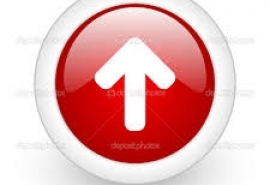 Today, a group of companies has grown to become dominant, offering a variety of services and providing a secure livelihood background to more than 500 people. 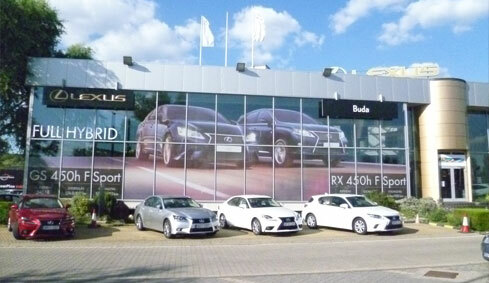 In May 2002, the group of companies has opened Lexus and Toyota Lexus Buda dealership and service center one of the busiest part of the city - Budaorsi road. It has been growing year after year and producing an increasing number of items for sale, assuring the quality and reliability of Lexus. Address: 1112 Budapest, Budaörsi út 185-195. Hovány Márton in 1991 has established the company Hovány Kft. 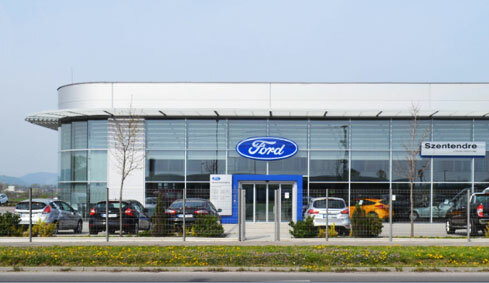 Company Hovány Kft has five motor shows in Hungary - and the greatest number of sales of cars «Fords» in the country. And also the full assortment of production of cars of mark «Ford» is given. For the past of 20 years the Company had been reached numerous internal and international successes, including the Award of the Motor show of Year and Presidential awards. 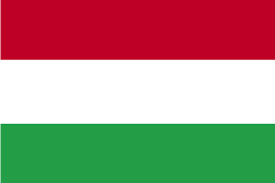 In 2005 Hovány Márton, the founder and the head already groups of companies has received an honorary title "the Businessman of year" in Hungary. 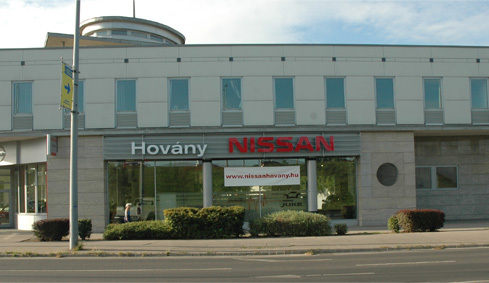 Hovány Márton in 1991 has established the company Hovány Kft, the first Hungarian Nissan dealership in Kecskemet town. Company Hovány Kft has six motor shows in Hungary - and the greatest number of sales of cars «Nissans» in the country. And also the full assortment of production of cars of mark «Nissan» is given. Group of companies Sakura has been based in 1992. 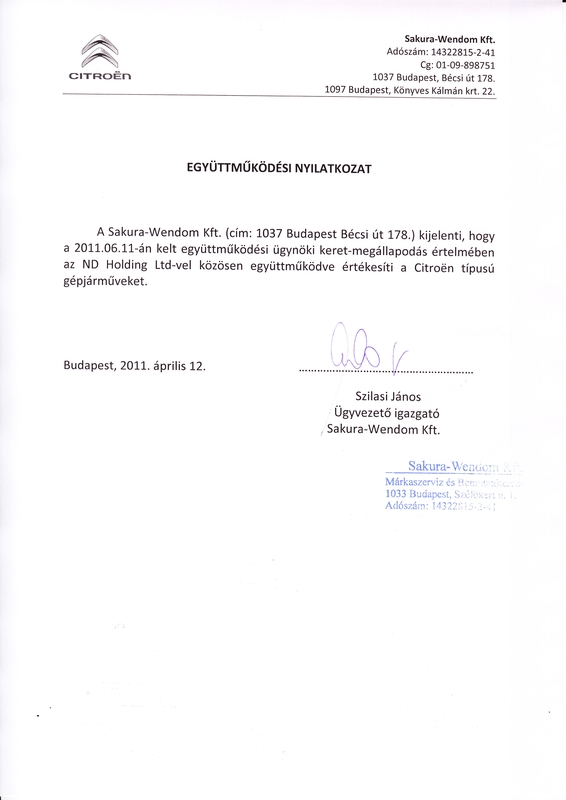 The company of Citroen Wendom which is included into group Sakura, and is presented by two motor shows in Budapest. 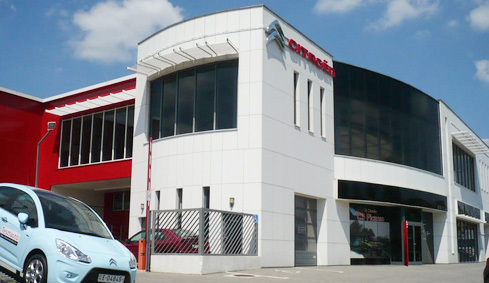 By quantity of sales of cars "Citroens" the company costs on the first place in Hungary. Multi-color palette of cars, a considerable quantity of versions and forms, ultramodern design the keystone to success of sales of cars of mark "Citroen". 1037 Budapest Bécsi út 178.